Holistic Child Development India (HCDI) works with multiple funding partners. These partners finance many of the programmes and projects that are strategized with their input and implemented with the assistance of the implementing partners. This ensures that HCDI’s efforts are constantly well funded by organisations focused on child development and implemented by organisations that hold extensive experience in working in the regions where the projects are placed. Erikshjalpen, based in Holsbybrunn, Sweden, works with organisations in over twenty countries of the world. The efforts of Erikshjalpen are focused on three areas of child development – children’s right to education, health, and protection and security. Erikshjalpen works with HCDI in India to advocate these rights of children as well as to increase the capacity of HCDI and its implementing partners to ensure more effective implementation of our programmes. Presently, Erikshjalpen has invested in multiple projects of the Child Focused Community Development Programmes and the Children at High Risk Programmes of HCDI. The Institute of Cultural Affairs, Japan, better known as ICAJ, is located in Japan with affiliations with local organisations in over thirty nations since 1989. 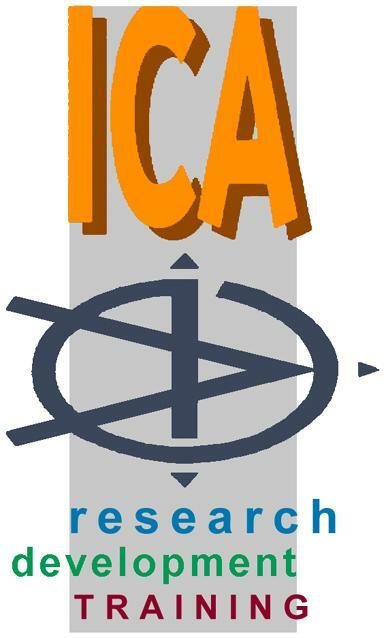 With human development at the core of its activities, ICA focuses on community development that is brought about by local participation – a strategy that aims to fulfil the organisation’s endeavour to obtain sustainable, long lasting, and independent development in underdeveloped regions. ICAJ has partnered with HCDI and funds multiple projects under the Emergency Response and Disaster Management Programmes. ICA funds the endeavours of HCDI by providing aid to disaster affected areas, with a focus on rehabilitation and increasing the ability and skills of the local population to encourage sustainable livelihood, along with protection and promotion of children’s basic rights. Through the funding aid from MOFA, Japan and the people of Japan, ICAJ and HCDI implemented a large project in three phases in Bihar, where multipurpose community centers were constructed and the community has been empowered through capacity building trainings. HCDI also appreciates donors from India, who wish to support children for their overall development, especially children from tribal areas. They are donations on the basis of sponsorship. Today we have 5 committed sponsors supporting 8 children for their residential child care and development.